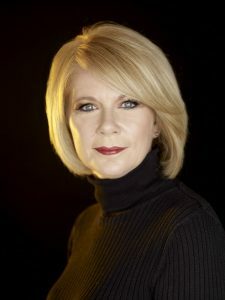 Eight-time, award winning author and historian Kerriann Flanagan Brosky, has been featured in numerous publications including The New York Times, Newsday and Distinction magazine. She has appeared on CBS’ Sunday Morning Show, “Ticket” with Laura Savini, News 12 Long Island, and The Thinking Writer in East Hampton, for her previously published non-fiction books. Kerriann served on the Board of Trustees as First Vice President for the Huntington Historical Society for six years, and she served as a Trustee for the Greenlawn-Centerport Historical Association for three years. Kerriann is the recipient of the Top Advocate for Historic Preservation and Education award from the Oyster Bay Historical Society, the Huntington Heritage Education Award from the Town of Huntington, and Woman of Distinction award from the New York State Assembly. Kerriann is an Advisory Board Member for “Everything Old is New Again” Radio Show. She is currently a contributing writer for Edible Long Island, where she has her own column, “Kerriann Eats.” Kerriann is President Emeritus of the Long Island Authors Group, and is a well-known speaker who draws standing-room-only crowds to her lectures. Kerriann lives in Huntington, Long Island, and when she’s not writing she enjoys spending time at the beach with her husband Karl and their two sons.